Sword Art Online – Anime Reviews and Lots of Other Stuff! Hey everyone it’s Deven! And I’m coming at you with some information about Sword Art Online. It’s not new information or anime related but some people don’t know about so I’m going to tell you. Now as we know the Aincrad arc is the first arc of the entire Sword Art Online series. However in the first volume we only see the first day and the last few months of the game. Then in the second volume we get some of the side stories with Lizbeth, Silica, Yui, and Sachi. But remember Kirito and others were stuck in SAO for 2 years. There’s no way that could be all the adventures they had. So that’s why the writer, Reki Kawahara, started a reboot of the Aincrad arc. It’s called Sword Art Online Progressive! This reboot goes back to beginning and adapts everything. Every boss battle. Every player interaction. And every floor! Granted they come out every year roughly about December but they’re still good. Sword Art Online Progressive exists as both a Light Novel and a manga series. You can probably find the manga on most manga reading sites. You won’t be able to find the Light Novel version on Baka-Tsuki because it’s be licensed by Yen Press. But hey we still have the manga! I’m hoping for once SAO Progressive ends we get a remake of the anime with all the stuff from Progressive added in. 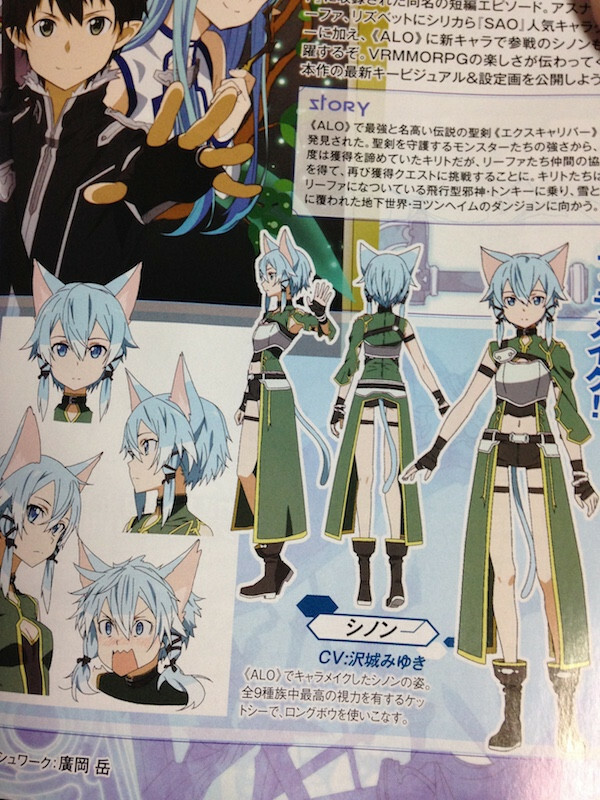 The character designs for Sinon’s ALO Cait Sith avatar and Yuki from the Mother’s Rosary arc have been revealed. Sword Art Online II started off with the Phantom Bullet arc which was in Gun Gale Online. Now, Sinon joins Kirito and others in ALO as a Cait Sith Archer. The Calibur arc will start on October 18th. The magazine that revealed these designs has also revealed Yuki’s design for the following Mother’s Rosary arc which will start on November 8th. 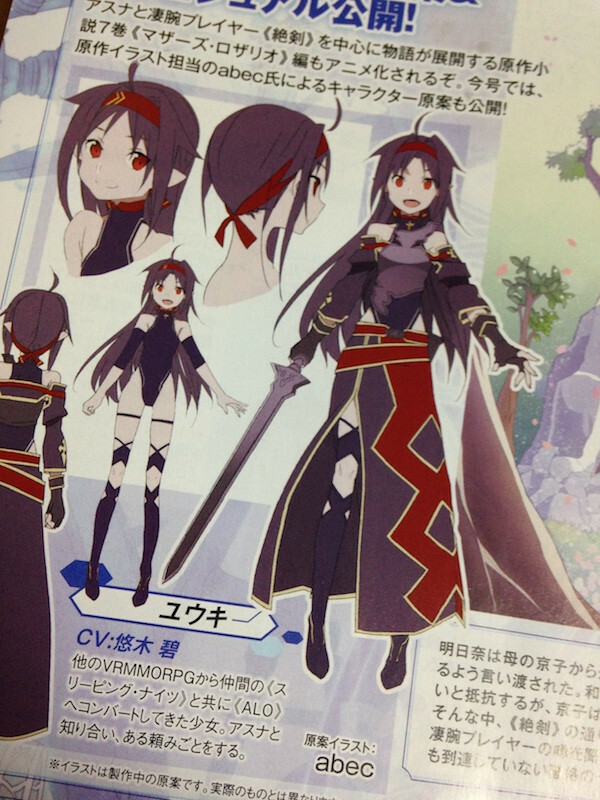 The magazine also reveals that Yuuki Aoi will return as Yuki (Voiced her in Sword Art Online: Hollow Fragment).